If there is any alternate healing therapy that I have not tried over many years I don’t know what it can be. Chinese herbs, homeopathy, JinShin, acupuncture, Reiki, osteopathy, therapeutic touch, reflexology to name a few, most of them have not helped; they are not evidence based therapies. They cost me a great deal of money. They kept the practitioners in business. But, of them all osteopathy as a manual therapy was helpful as I thrive on the magic of touch, especially when the therapist is a skilled practitioner. I am also fond of gentle massage therapy, JinShin, chiropractic adjustments, and especially physiotherapy. Having a therapist who spends an hour with you, working on painful areas of your body can be extremely therapeutic. Of them all it is physiotherapy (physical therapy as it is called in the US) which has provided me with the most relief . I trust this practice the most as it is evidence based, a research profession situated in a university, sanctioned by grant giving foundations to further their research agenda. I have however heard from many who do not like to be touched and manual therapy is not for them. When I am touched by a therapist who has experienced hands it relaxes my nervous system. For those who do not like being touched by others, I recommend massaging yourself lightly as a soothing gesture. It does not cure but it provides relief and trains the brain to pause and work with paying attention to the moment rather than catastrophic-futuristic thinking which we are all prone to do. This entry was posted in 3 treatments for fibromyalgia, bio-psycho-social, diane jacobs, elaine aron, energy work, fibro as a social construct, Fibromyalgia, herbs, homeopathy, hypervigilant, jinshin, massage, overly empathetic, pseudo science on June 22, 2015 by Barbara Keddy. BigPharma makes huge profits from those of us suffering from chronic pain, fatigue, depression, anxiety, itching, digestive issues- to name a few of the common symptoms of fibromyalgia. Every day we are inundated with advertisements about prescription drugs that would alleviate these symptoms. Equally as rich is the vitamin industry which advocates specific supplements for the treatment of fibromyalgia, few of which are science based. Generally we take them willy nilly without any idea if they are helpful or not. This entry was posted in acupuncture, anxiety, BigPharma, de-prescribing, depression, digestive upsets, Fibromyalgia, Gabapentin/Lyrica, homeopathy, pain, polypharmacy, sleep disturbances, supplements, vitamins and herbs on November 22, 2014 by Barbara Keddy. 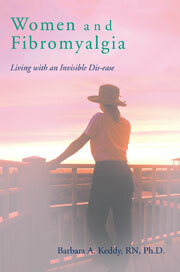 There are numerous claims made by those who practice or have beliefs in woo woo (irrational ideas based upon lack of scientific evidence) about various concoctions, herbs, homeopathic solutions (sugar pills) and other types of unscientific, unproven remedies or ‘therapies’ that will cure fibromyalgia. I admit to being biased towards that which has been tested scientifically, in spite of the fact that there can be horrendous mistakes made within the realm of science. However, there are two choices: ‘scientific medicine which is evidence based’ or ‘pseudo-science’ and not, in my view, ‘complementary/alternative medicine’ which has not been validated with rigour. But, I have not always been so discerning. This entry was posted in cure for fibromyalgia, Fibromyalgia, herbs, homeopathy, james randi, magic, magnetic energy, neil de grasse tyson, science, woo woo on March 12, 2011 by Barbara Keddy.